From a regulatory perspective, one of the challenges around operating in the crypto markets is that different regulators appear to define cryptoassets in different ways. For example, the Commodity Futures Trading Commission (CFTC) has defined digital currencies as commodities, while the Securities and Exchange Commission (SEC) seems to think that at least some of them might be securities. 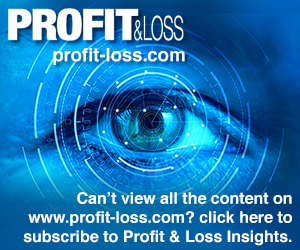 Speaking at Profit & Loss Forex Network New York, Mike Gill, chief of staff to US CFTC chairman, Christopher Giancarlo, and the CFTC’s COO, discussed some of the challenges facing regulators when it comes to defining these products. Bitcoin, he maintained, still very much fits the CFTC’s description of a commodity. Despite conceding that there is currently a grey area regarding the regulatory definitions of certain cryptoassets, Gill said that he personally thinks that the areas of potential overlap between the SEC and CFTC are actually very small. However, he warned that within this grey area, the regulatory uncertainty is likely to persist as government agencies simply don’t have the capacity to individually classify all the new crypto products coming to market. “The larger US government is focused on broader issues and doesn’t have the bandwidth to help somebody get their product into regulatory certainty,” said Gill. He also said that, frankly, he’s not sure that the government cares if the regulatory ambiguity regarding certain cryptoassets continues, because the early investors in in these products invest at their own risk. “I’m very supportive of crypto, but this notion that if enough people say this is important that the government is going to stop on a dime and turn around and start fixing things – I haven’t seen it. The timeline for government is much slower than for VCs,” said Gill. But the good news for firms in the crypto space is that Gill predicted that, generally, the regulatory landscape will become more, not less, clear going forward. “We’ll never get the pure Oxford dictionary definition, because no one wants to give up what happens 10 years from now, but I think we’ll get some clarity,” he concluded.